The four state departments of transportation (DOTs) that comprise the US I-10 Corridor Coalition have received a federal grant to help fund the development of a program alerting commercial truck drivers to available public parking spaces at Interstate 10 rest areas. Public parking for commercial vehicles is among the priorities of the I-10 Corridor Coalition, which the Arizona, California, Texas and New Mexico DOTs founded in 2016 to facilitate safer and more efficient commercial and personal travel along I-10. Texas DOT applied for and was awarded the grant on behalf of all four states. The US$6.85m Federal Highway Administration (FHWA) grant requires a 50% match by the four states. The finance comes from the FHWA’s Advanced Transportation and Congestion Management Technologies Deployment (ATCMTD) program, which was established under the Fixing America’s Surface Transportation (FAST) Act and funds early deployments of cutting-edge technologies that can serve as national models to improve travel for commuters and businesses. The I-10 Corridor Coalition will use the funding to implement a truck parking availability detection and information dissemination system at 37 public truck parking locations along I-10 from California to Texas. The system will make real-time truck parking information available to truck drivers and dispatchers to assist them in making informed parking decisions. The program will help commercial vehicle drivers better plan their daily schedules and reduce the number of drivers parking on freeway shoulders and along ramps. It will improve safety by reducing the number of tired drivers, allow drivers to spend less time searching for parking spaces and reduce emissions and fuel consumption. 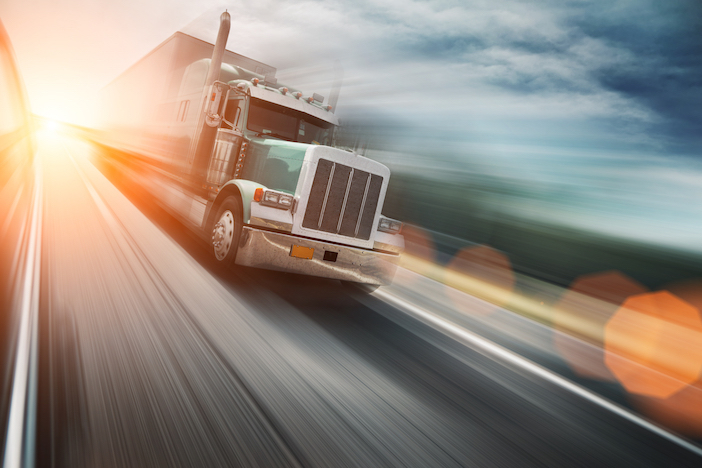 The I-10 Corridor Coalition is designed to remove ‘friction’, such as the variety of commercial vehicle permitting and inspection practices in each state along I-10, to move goods more efficiently. The four state DOTs will develop and deploy an integrated regional Truck Parking Information and Management System (TPIMS) that will collect and broadcast real-time parking availability on dynamic message signs (DMS), with the information also likely to be available through websites and a dedicated smartphone application. 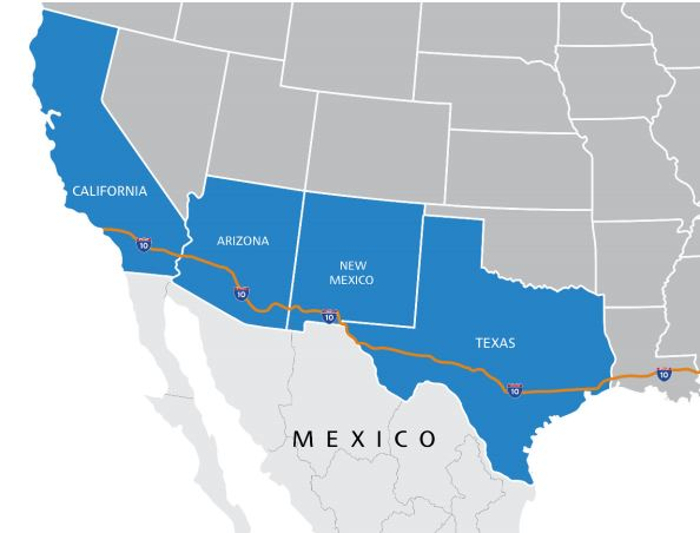 I-10 is the primary trucking route connecting the markets of southern California and Texas with international shipping. If the four states were combined, the region would have the world’s 10th-largest economy. A similar TPIMS scheme that has been initiated by the Mid America Association of State Transportation Officials (MAASTO) is currently nearing completion, with the system already functioning on certain routes in the region. The states participating in the MAASTO project are Iowa, Indiana, Kansas, Kentucky, Michigan, Minnesota, Ohio and Wisconsin.